The donors section of Stanton Brothers LTD has been updated with several new exciting donors! Several of these donors already have high sons in AI like High Octane, Capital Gain, Catalyst, Main Event and Lottomax! 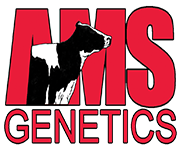 CLICK HERE to take a look at the updated donor section which include family members of the Lead Mae's, Cosmopolitans, Sathurdays, Sully Shottle Mays and many more elite North American genetics.